A Gisborne meat firm, the Economic Butchery Company, recently packaged a four-ton shipment of cut pork for export to Singapore. 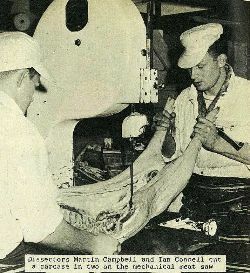 Believed to be the first shipment for export supplied by a Gisborne firm, the order contained approximately 350 locally grown carcases. Manager of the butchery, Mr Peter Egan, had a big smile for the camera as he inspected the cuts. 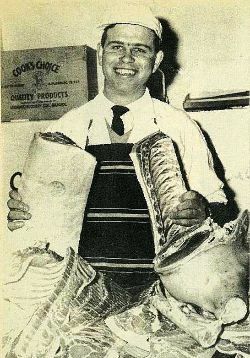 Mr Egan organised the project, and hopes to follow this order with further shipments of lamb. 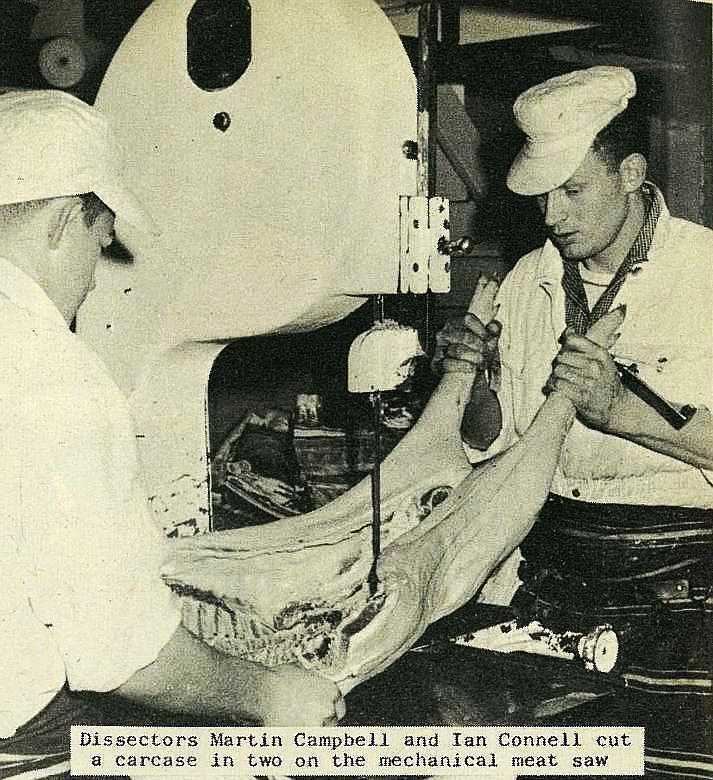 Dissectors Martin Campbell and Ian Connell cut a carcase in two on the mechanical meat saw. 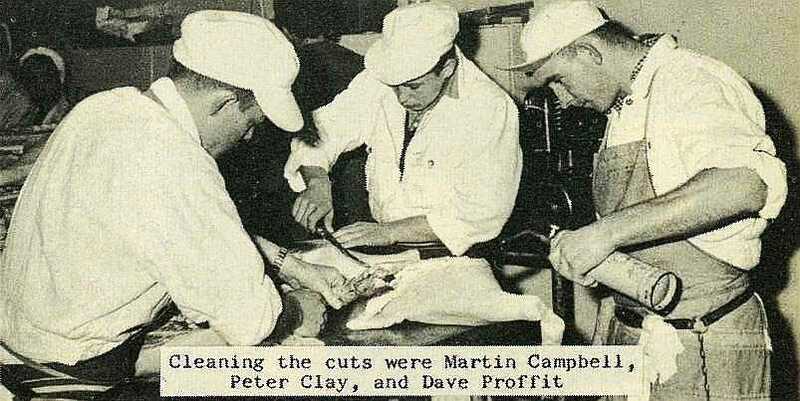 Cleaning the cuts were Martin Campbell, Peter Clay, and Dave Proffit. 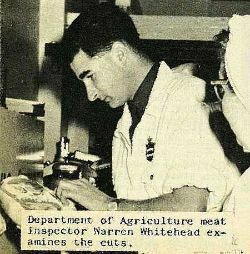 Department of Agriculture meat inspector Warren Whitehead examines the cuts. 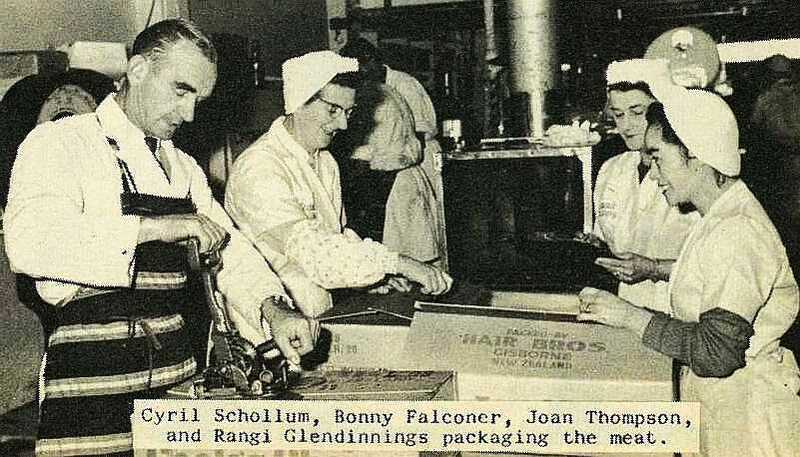 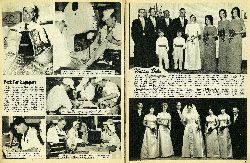 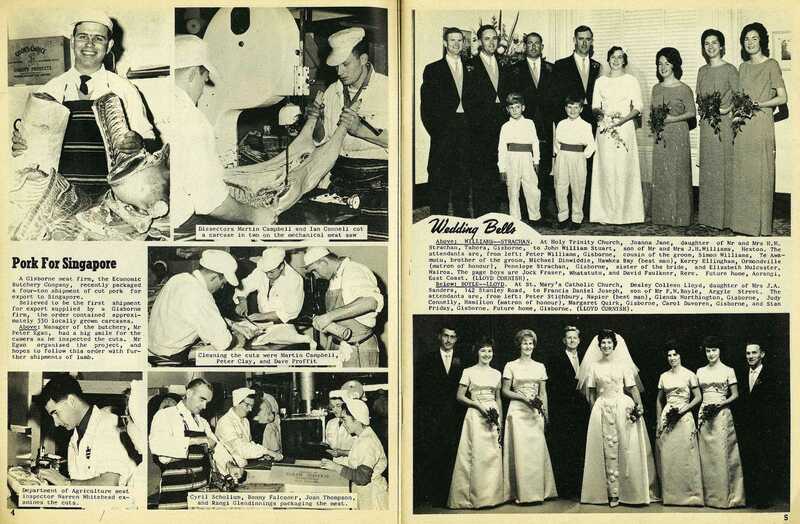 Cyril Schollum, Bonny Falconer, Joan Thompson, and Rangi Glendinnings packaging the meat.